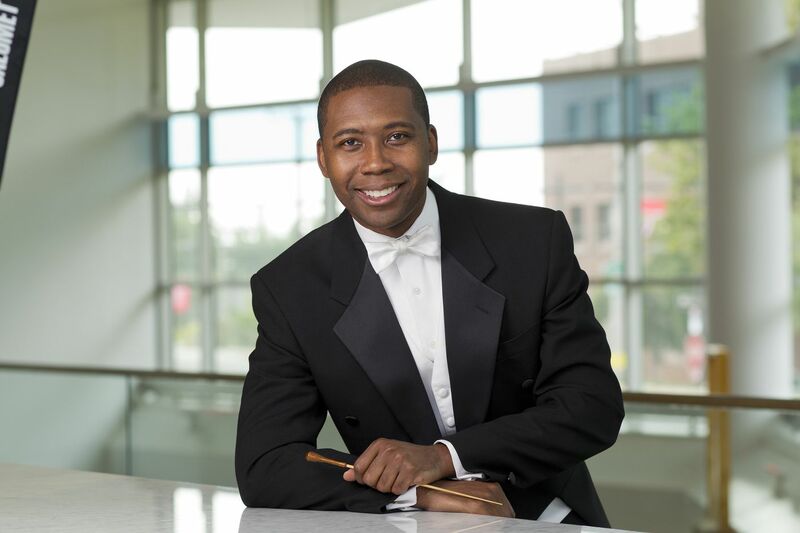 The Mann Center for the Performing Arts has commissioned four local African American composers to create works interpreting and celebrating Leonard Bernstein's legacy in honor of his 100th birthday. Rollo Dilworth, Ruth Naomi Floyd, Jay Fluellen, and Evelyn Simpson will be featured on Saturday, Aug. 11, during the Philadelphia Community Mass, which is jointly presented by the Mann and NEWorks Productions, an organization that produces musical and artistic events for community engagement. The mass will be performed as a full concert at the Monumental Baptist Church from 3 to 5 p.m. Admission is free and seating is first come, first served. "We're thrilled to have these amazing composers who have these rich bodies of work," said Nolan Williams Jr., CEO of NEWorks Productions. "They have the skill set and the training to understand classical works like what Bernstein was doing with Mass, but they also had the experience of African American church liturgy and worship." Williams also said this concert was the perfect opportunity to honor Bernstein because the composer created Mass during a turbulent time in American history — the 1960s. "In our times, there's a lot that's happening in our world that mirrors the challenges that he faced when he felt inspired to write this piece," Williams said. "It seemed like a good time to revisit that work and the question of how an individual and a community find and hold on to faith." Each composer created a piece that honors Bernstein through his or her favorite genre, such as jazz, blues, and gospel. The concert features a collective of singers, with a majority from the Absalom Jones Choir, and spoken libretto excerpts from Bernstein's Mass delivered by leaders from the city's civic and religious communities. "Often, African American sacred music traditions are reduced to one form, and that's gospel," Williams said. "It's only one of many genres that get overlooked. There are also hymns, spirituals, anthems, and what we call praise and worship music. Calling everything that is sung in a black church gospel is just incorrect, like calling every classical music piece baroque. We want to highlight the diversity of that music." Fluellen said he blended classical and jazz influences in his composition. He tried not to use Bernstein's melodies, and instead worked on capturing the essence of Mass, which explores the idea of what's sacred in the context of secularity. "As a composer, Bernstein drew inspiration from many different styles," Fluellen said. "That's how I connected with him. As a composer, I work toward seamless expression. You're not going to hear a jazz riff in the middle of my composition, because the whole piece is a synthesis of the two styles." Williams said selecting African American composers for this event was an important part of honoring Bernstein's legacy because of his humanitarian efforts. Bernstein was known for casting performers of color in nontraditional roles, such as Sono Osato as Ivy in On the Town in 1944. He also cast six African American dancers who were treated as part of the citizenry, and African American conductor Everett Lee took over the podium nine months into the run. "Those were very daring moves," Williams said. "We see through so many examples of his life's work of how he was about building bridges, particularly reaching out to folks who don't always get the phone call, opportunity, or platform."